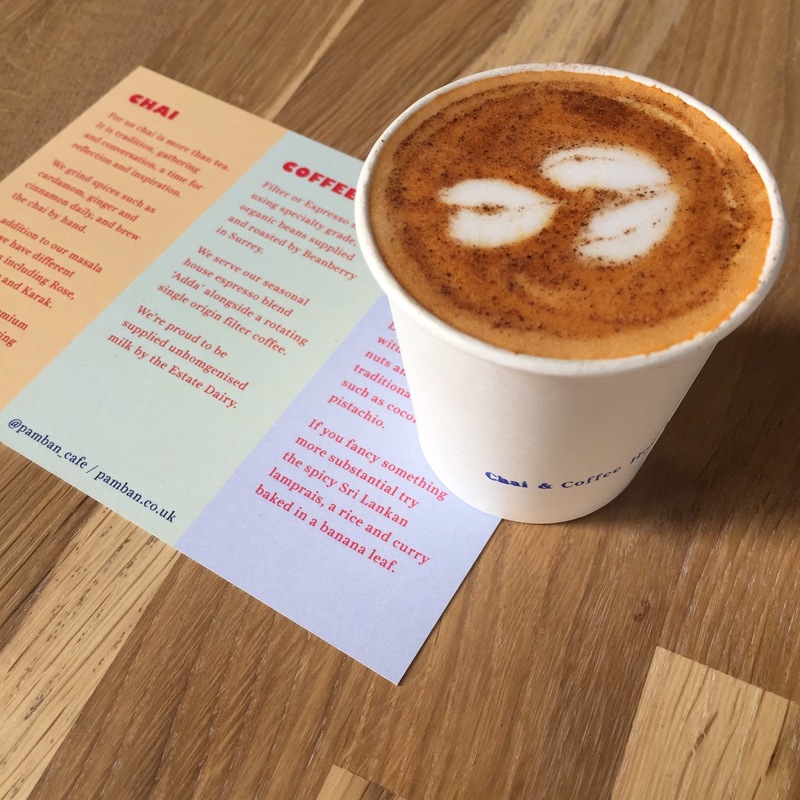 Pam Ban cafe is the brilliant works of duo Mayhul Gondhea and Aruna Sellahewa, the Sri Lankan and Indian chai and coffee house situated in Camden Market opened its doors last month. The name Pamban comes from the island sitting right between India and Sri Lanka. 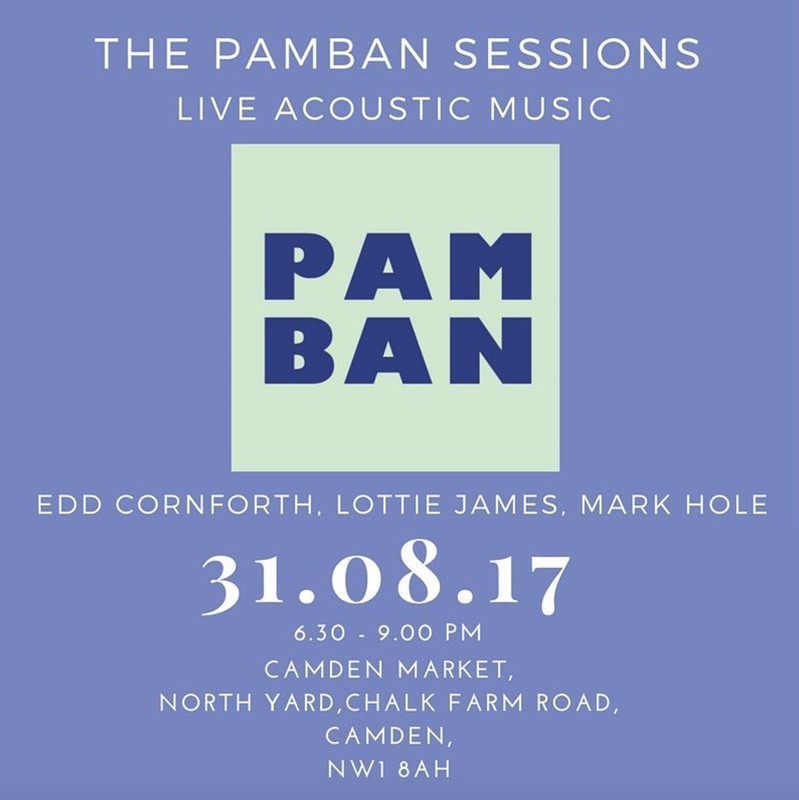 Pam Ban is an exciting reflection of both the ethnic origins of the co founding duo and the meeting point of two distinct cultures. Pam serves its signature freshly brewed masala chai, rose chai, loose leaf tea, small batch coffee, and chilled dessert drinks such as Mango Lassi, Jaggery Milkshake, and Fulada. For Eats - They serve a great selection of cakes, such as the Sri Lankan Love Cake - which is love at first sight that pairs wonderfully with a warm cup of tea or chai. They also serve hot food such as Pamban Rolls, which are delicious pancakes filled with chicken, mutton or veg, rolled then fried, provide the perfect snack, alternatively the London exclusive Lamprais, a Dutch-influenced Sri Lankan dish consisting of banana leaf-steamed spiced rice topped with slow-cooked curry. Once you step into the beautiful space. you notice the stunning, striking and standout interior which is refreshingly simple, subtle, muted yet inviting. The building previously was a horse stable, while there are no traces of horses they have kept the structure of the building and you have beautiful exposed bricks, high ceilings, and large windows to allow in ample natural light. Space oozes a Swedish and contemporary feel, also dotted around is potted greenery, wooden tables with the cutest cork like stools (which are adorable to look at), plenty of table and chairs, also hanging daintily on the walls are contemporary paintings fitting to the brand and a Pamban selfie wall which you cannot miss! Earlier this month I attended an “Invitation to a Masterclass in Chai” with a few other food bloggers. It was an intimate event to celebrate the launch of Pam Ban. On arrival, we were giving a run down of what would be taking place in the evening and greeted to a cute table set up with Indian sweets and nibbles. 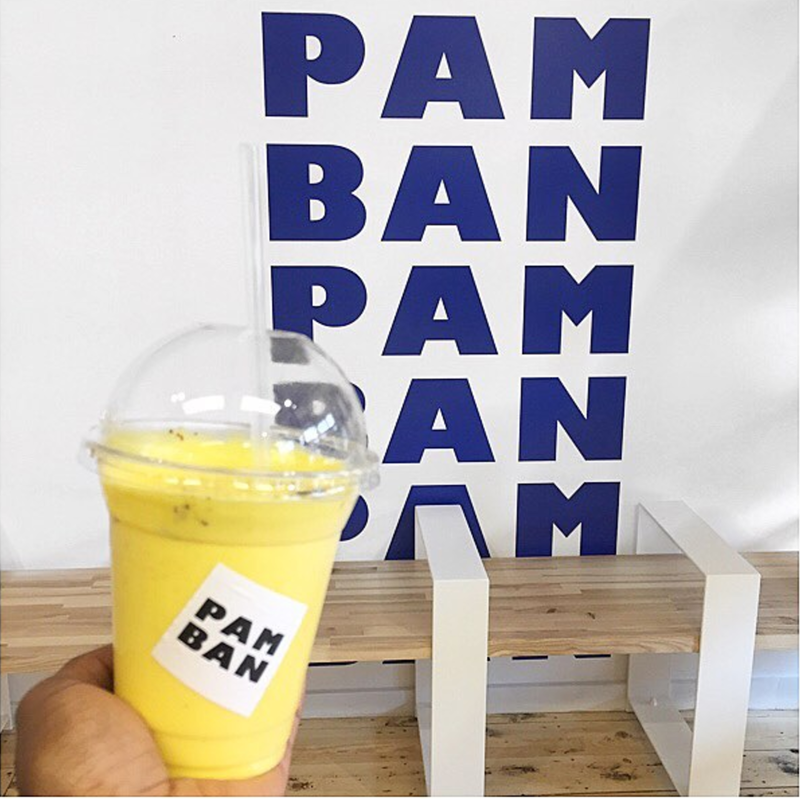 Soon after in a timely fashion, we got to try the various drinks offerings that Pam Ban serve on a day to day. Such as the Fuladas which is a rose infused layered summer dessert drink made with ice cream and rose syrup. Mango Lassi, Jaggery Milkshake, Red Cappuccino. We also got to try new flavors including Saffron and Lavender Chai - which both went down a treat. After the drink tasting session, we headed to the espresso counter where we meet with the barista who talked us through the various coffee processes which Pam Ban does use their organic beans coffee (supplied by Beanberry) and velvety Estate Dairy milk to create an unrivaled coffee offering. We also were given a fascinating demonstration about the temperature and precision of filtering the beans and shown how latte art is done. Pam Ban works closely with a selection of artisan suppliers in the UK, Sri Lanka, and India, a selection of chai-related merchandise and brewing equipment as well as handmade clay cups and Sri Lankan tea will be available to purchase from seasonally-changing product collections. 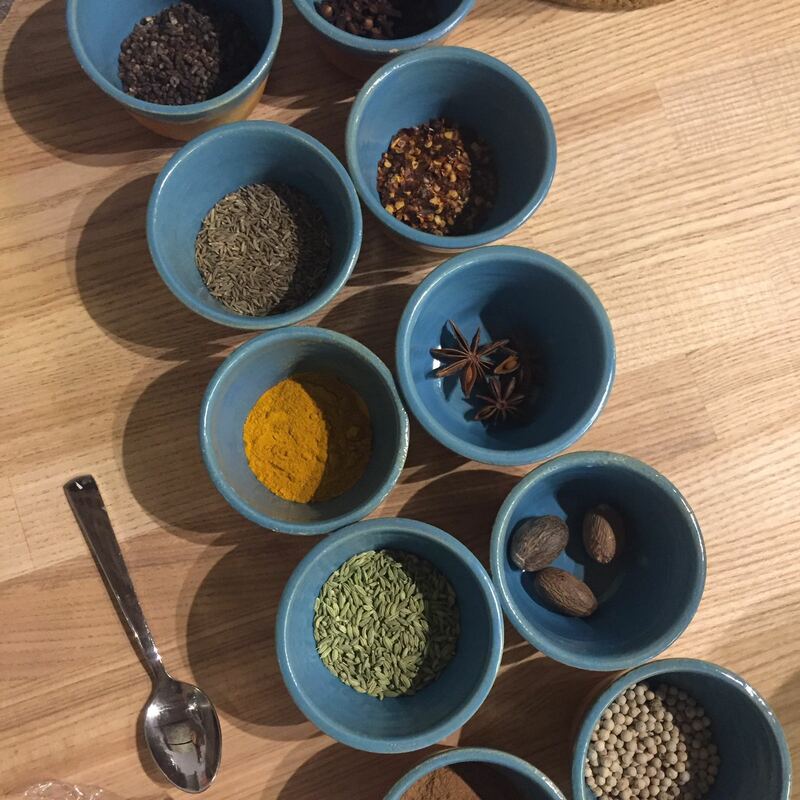 Before the evening drew to a close we got to take part in the Chai making master class where yours truly took part alongside Miriam of London Kitchen Diaries to make our very own DIY version of Chai. Presented in front of us was an array of ingredients such as turmeric, nut meg, cinnamon, ginger to name a few. For my blend, I went off the beaten track and used Turmeric, Cinnamon, Ginger, and Anise. I also followed instructions by the hosts and added in water left that to boil (Now I must say my blend looked like a chicken curry - all you needed was a chicken breast in there and sorted! 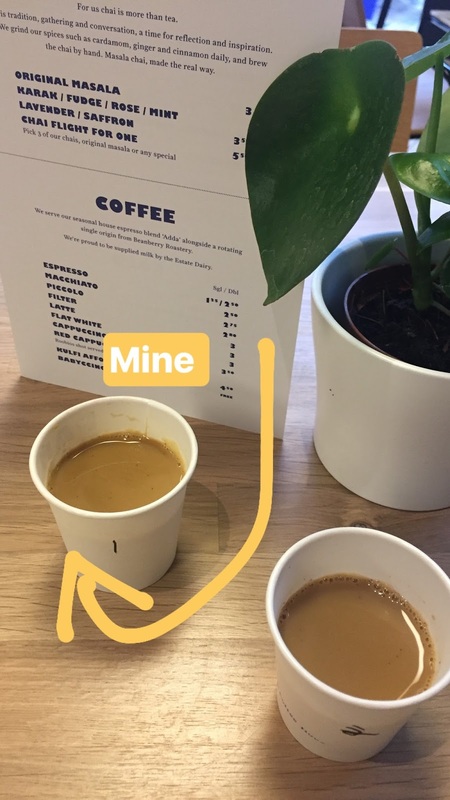 LOL) After adding the loose tea bags, continuously stirring and adding in milk and leaving to simmer - My chai was made - It was full of rich aroma from the turmeric and cinnamon - It had a warm yet subtle and velvety texture to it. It will make the perfect Chai during the Christmas season.